WordPress plugins and themes are often customizable with functions called “hooks”. There are two types of hooks: actions and filters. If you’re not familiar with actions and filters, then definitely spend some time learning the basics. The WordPress Codex has an in-depth introduction to them here, and Treehouse has a great overview here, for example. Once you’ve learned the basics of how to use actions and filters, it’s time to learn some tricks to help you get the most out of them. Finding Actions and Filters — How to reliably find hooks in plugins and themes even if they’re not documented online. Using Arguments in Callback Functions — How to use more than one argument in your action and filter callbacks. Finding All Callbacks Attached to a Hook — How to see all functions firing on a given hook—useful when debugging code, for example. So you’re convinced of the value of actions and filters, and are ready to start using them in your custom code—excellent! But where are all of these actions and filters in the first place? Many plugins and themes have dozens and dozens of these hooks, especially large plugins like The Events Calendar, Event Tickets, Easy Digital Downloads, WooCommerce, etc. Some plugins, like WooCommerce, have complete “Hook References” that list all of the plugin’s hooks. If the plugin you’re customizing has this sort of documentation, use it—look for filters and actions in the official online documentation and use any example code that might be provided. Far more plugins and themes out there don’t have the sort of comprehensive documentation that WooCommerce has, though. If you’re working with one of these pieces of software, then you’ll have to be a bit clever with how you find actions and filters. 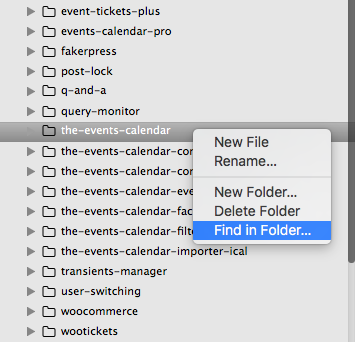 I personally use Sublime Text, which has a very convenient “Find in Folder” option whenever you right-click on a directory, as shown in the following screenshot. 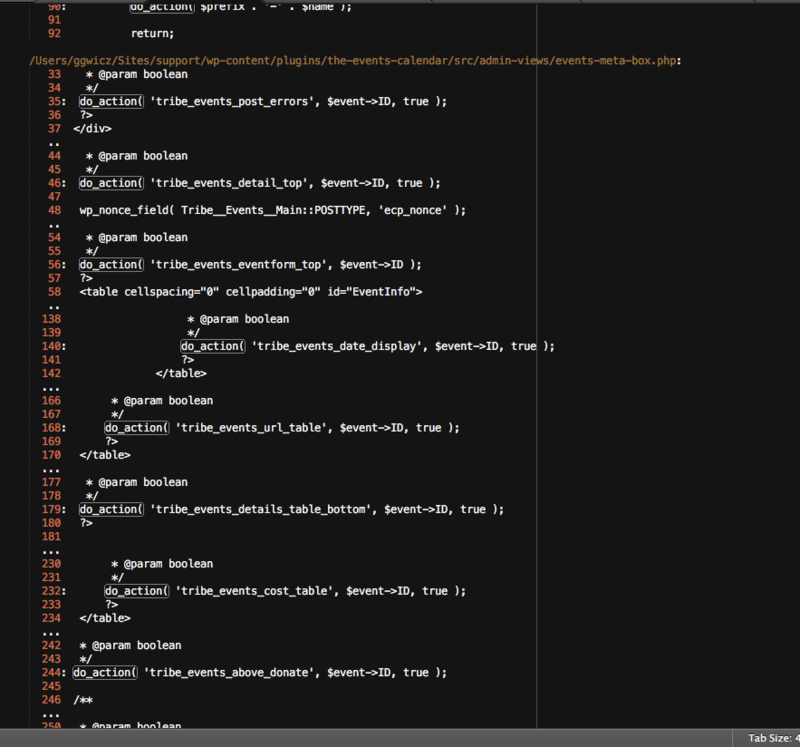 An example of the conveniently-placed “Find in Folder” feature in Sublime Text. Next, navigate to the directory for the plugin or theme whose hooks you are trying to explore. In this example, as seen in the screenshot above, I’ll be searching for actions and filters within The Events Calendar. Searching for all instances of do_action within The Events Calendar with Sublime Text. Doing all of the above steps will reveal a “results” page within your code editor of all instances of do_action or apply_filters, depending on which one you searched for. 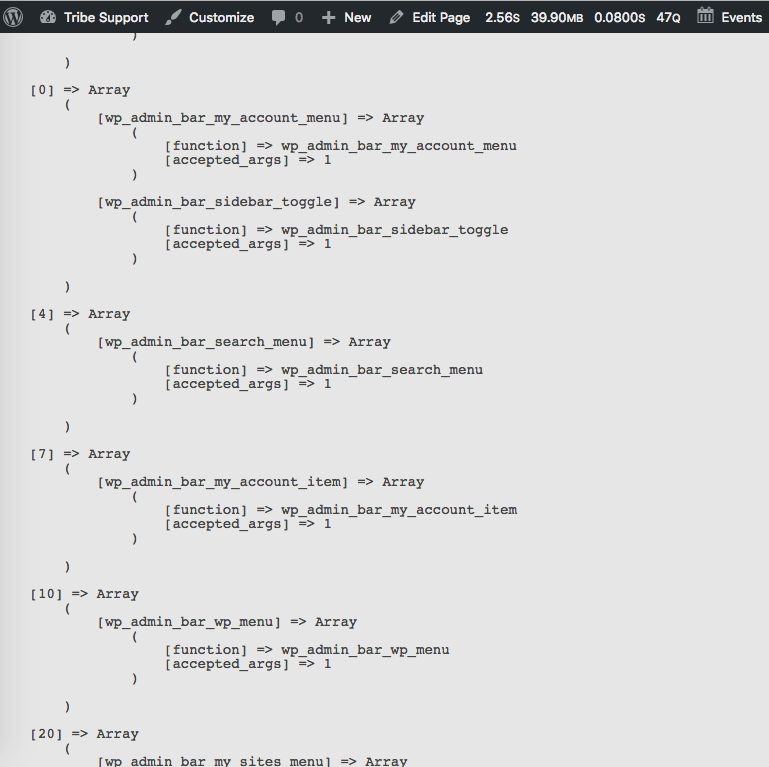 A search results page in Sublime Text, revealing instances of the do_action call within The Events Calendar. I personally always use this method to find filters and actions, even for plugins or themes with great online documentation. With this method, you don’t find the hooks on a web page and hope that the documentation is up-to-date and accurate—you find the hooks right within the actual code, so you get the whole context in which the hooks are used, and can be certain that what you’re looking at is up-to-date and accurate. In this example, you have only two things to consider: the name of the filter, and the value that is being filtered. That’s all! So your callback function would be commensurately simple: you would attach your callback function to the name of the filter with add_filter(), and then modify the value in the callback function. While the tribe_rsvp_email_recipient filter shown above just allows you to modify an email address, this event_tickets_rsvp_attendee_created action allows for more complex modifications—it fires when a user makes an RSVP to an event, and allows you to hook into that event to do anything you’d like. But wait! If you do this, you will get an error. You might be wondering, “what’s that 10 in these add_action calls?” This is just the “priority” value, which defaults to 10 in WordPress. This value defines the order in which hooks will run, starting with lower numbers first and working up from there. When the action event_tickets_rsvp_attendee_created fires, run the function tribe_blog_example_rsvp_callback. The tribe_blog_example_rsvp_callback should run very late. Let all functions with priority 1 through 10 run before it, if they exist. Let the tribe_blog_example_rsvp_callback function use all three arguments that the event_tickets_rsvp_attendee_created hook provides. In this example, those arguments are $attendee_id, $event_id, and $order_id. Sometimes you need or want to see all of the functions that are attached to a given hook. This can provide insight when debugging code, for example, or when trying to identify the culprit in an odd support issue. An array of callback functions attached to the admin_bar_menu hook. When is this useful? Well, if you’ve written a callback function that doesn’t seem to be working, you can use this method to manually double-check that the callback function is even properly attached to the action. Once you’ve confirmed it’s there, maybe you can identify functions that are running after your callback that might be undoing the thing your callback does—thus prompting you to change your callback’s priority and sigh with relief that things now work as expected. The “hooks” system within WordPress, more formally referred to as the Plugin API, is one of the CMS’s primary selling points: it lets you modify the appearance and behavior of things extensively without having to modify the actual core code of WordPress, or of a given plugin or theme. Whole ecosystems have been built on this Plugin API. When you see a plugin like WooCommerce that has a litany of feature-rich extensions, it’s the Plugin API that makes it possible for those extensions to exist.